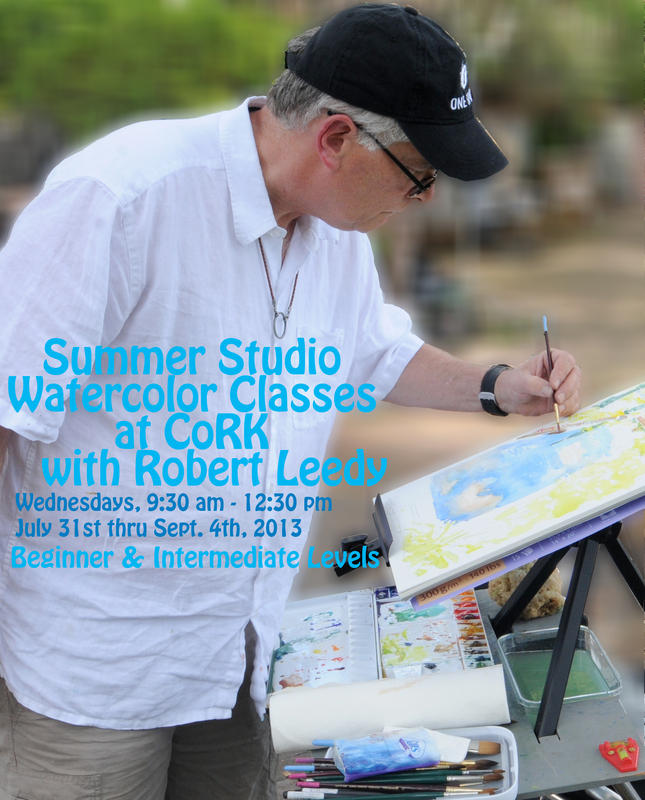 Summer Studio Watercolor Classes with Robert Leeedy @ his CoRK North studio, Wednesdays from 9:30 am – 12:30 pm July 31st thru September 4th, 2013. Beginner & Intermediate Levels. $200. A second round of watercolor classes will start up in my studio at the CoRK Arts District next week. Join us for six, 3-hour classes geared for Beginners & Intermediates alike! 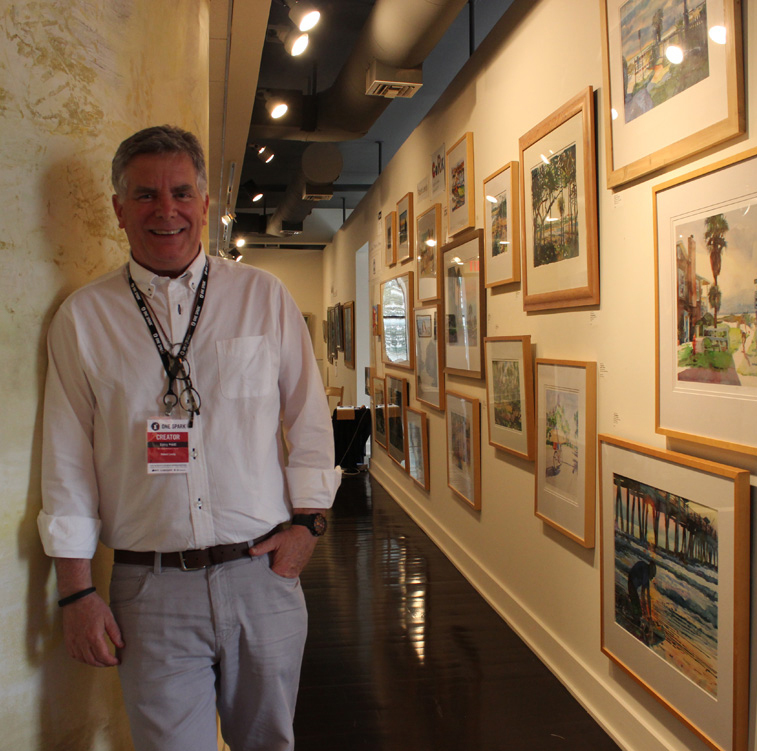 My watercolor classes are in a casual, studio setting in Riverside at my CoRK North studio. I do demonstration paintings throughout the course. Students will paint from a still life set up in the studio gallery with a specific exercise / goal in mind. A group critique follows usually at the next class as students have had the opportunity to finish their paintings at home. I am big on individual, one-on-one instruction so that all students will feel comfortable at their own ability levels. Students always absorb a lot from fellow students as well; it is interesting and fun to see all of the different interpretations and approaches which adds to the group inspiration level. Basic materials and watercolor techniques are explored. Elements & principles of design along with color theory will be the background as students learn brush control, value control, color mixing, and color layering. The goal will be to create luminous, color & light-filled, juicy watercolors that epitomize the medium. I will push you out of your comfort zone yet keep it fun and inspiring! I will teach you that watercolor is not the difficult medium you thought it was! The cost of the six week class is $200. That is a total of 18 hours of instruction. Art supplies are not included. Here is the supply list. Space is limited. You can sign up online. Contact me through this site if you have any questions. I look forward to painting with you in a very creative environment! NOTE: I will have Fall classes beginning in September – view them HERE. Take I-95 South and connect to I-10 West; Get off at the Stockton Street Exit; turn left at the light then go down to Stockton Street and take another left; Make the first right turn (Phyliss Street); Go all the way down to King Street – CoRK North is on the corner of King & Phyllis Streets – #603. Whether you cross the Matthews Bridge or come into town on I-95 North, get on I-10 West; Get off at the Stockton Street Exit; turn left at the light then go down to Stockton Street and take another left; Make the first right turn (Phyliss Street); Go all the way down to King Street – CoRK North is on the corner of King & Phyllis Streets – #603. Take I-295 South towards Orange Park and get off at US 17 (Roosevelt Blvd), the first exit once you cross the Buckman Bridge. Go north (right) on US 17. Once past McDuff Avenue, get on I-1o East and stay in the right lane to take the first exit, Stockton Street. At the Stockton Street traffic light, continue west on Rosselle Street. 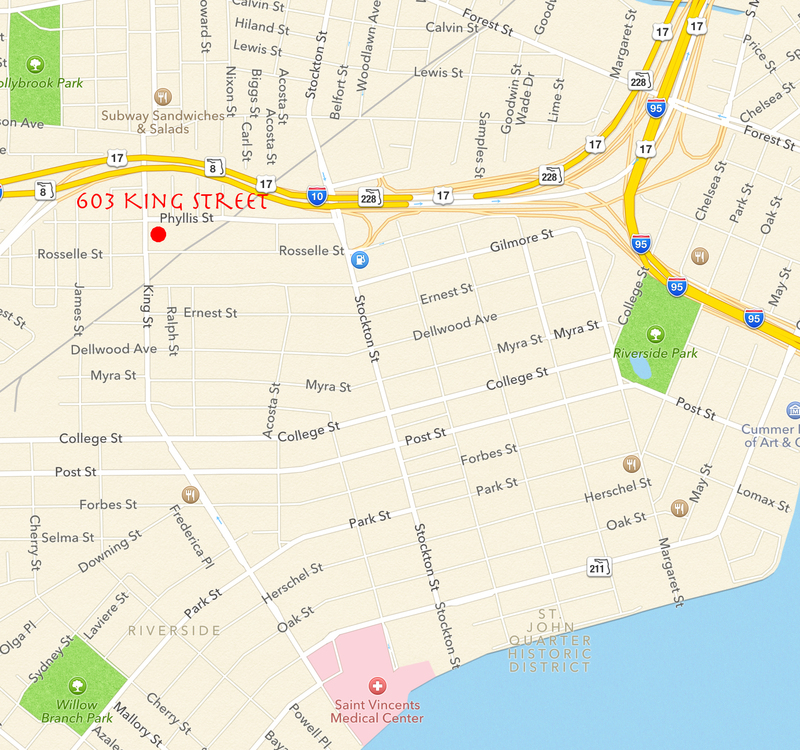 Right after you cross the railroad tracks, turn right (north) on King Street and go down 1 block to Phyliss Street – – CoRK North is on the corner of King & Phyllis Streets – #603. 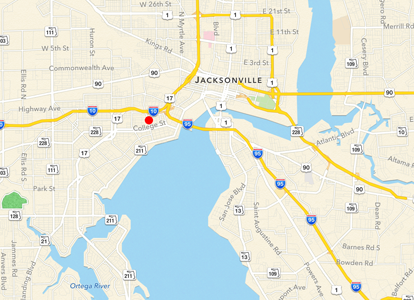 Take I-1o East towards Downtown Jacksonville and stay in the right lane to take the Stockton Street exit. At the Stockton Street traffic light, continue west on Rosselle Street. Right after you cross the railroad tracks, turn right (north) on King Street and go down 1 block to Phyliss Street – – CoRK North is on the corner of King & Phyllis Streets – #603. Take US 17 (Roosevelt Blvd) North. Pass Jacksonville NAS and cross the Ortega River and continue past Edgewood Avenue; Once past McDuff Avenue, get on I-1o East and stay in the right lane to take the first exit, Stockton Street. At the Stockton Street traffic light, continue west on Rosselle Street. Right after you cross the railroad tracks, turn right (north) on King Street and go down 1 block to Phyliss Street – – CoRK North is on the corner of King & Phyllis Streets – #603. There is ample parking around the CoRK Arts District buildings. It is OK to park on the grass around the building at CoRK North or around CoRK East & CoRK West (both on the corner of Rosselle & King Streets). Make sure not to block the dumpster or the gate between CoRK North & CoRK West. Also be sure not to block bay doors in front of CoRK West & CoRK East. There is also a small parking lot on the northeast corner of Phyliss & King Streets that you may use.